Most of the work I’ve done in the past year has been building websites and blogs with WordPress. Here’s a collection of posts I’ve written about them. 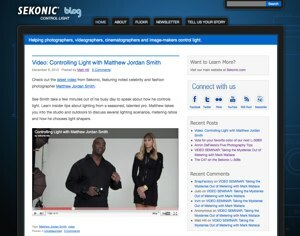 You can also see some of the other websites I’ve worked on. I’m delighted to announce the launching of the new Fovia Inc. website. Fovia Inc. provides software development kits and related services for high-quality, high-speed 3D image rendering. The kind of image data that’s output by MRI, CT and industrial scanning machines. What made this website so fascinating (and exciting to work on) are thousands of high resolution medical, archeological and industrial images showcasing the power and flexibility of Fovia’s XStream® HDVR® product. Announcing the launch of The Power of Music an eight-part, multimedia, professional development course for music educators. The video series and website provide an introduction to El Sistema, the pioneering approach to music education and illuminate the ways it is being adapted for in the U.S. The website was developed for WNET / Thirteen public television with support from the Annenberg foundation. It features over 45 videos and 3 interactive applications. The website’s graphic design was done by Michael Pinto of vm.com with additional graphics by Gwen Singley. 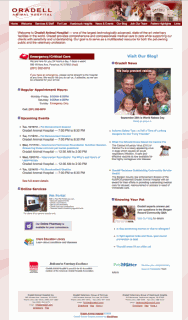 Oradell Animal Hospital of Paramus New Jersey is one of the largest and best animal and pet care centers in the world. But its website was old and they were losing the graphics designer who did their updates. Their marketing director was looking for new ways to connect with their current clients and customer base. I recreated their current site’s structure and design in Wordpress with custom page templates, adding social sharing and other functionality with plugins, shortcodes and widgets. I just finished this site for Joyce Cordi, a management and business consultant based in San Jose, California. Joyce is passionate about politics and publishes podcasts speaking out about government waste and absurdities. She wanted a customized front page that pulled in content from her about and bio pages along with selected posts on various topics. I used a combination of custom page templates and shortcodes for her new WordPress website. Repairing and rebuilding Profoto-USA’s blog on photographic lighting techniques and equipment. This was a fun job as I got to learn how to replace Wordpress 2 theme technology with WP 3.0 functions and features. 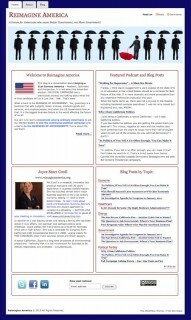 I just finished a major project for Tom Watson, author of CauseWired , converting his website, onPhilanthropy.com, from a custom CMS to Wordpress. The new site, built on the Arthemia Premium theme, features modifications enabling it to carry ads from multiple sources, RSS feeds from companion sites and customized widget titles. Air Safety And Law is intended to serve as a forum for the legal community to discuss air travel safety and liability issues. 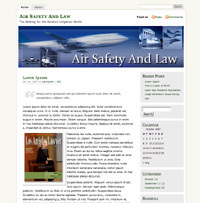 The blog is a project of Kreindler & Kreindler, the law firm that handles most of the major aviation accidents. Much thanks to Michael Pinto of Very Memorable for "upscaling" my header image.